Dead Night Official Blog: RoH ad Dead Night news! RoH ad Dead Night news! Anyway, I'll start with site updates. As you can see, the next chapter of Reign of Hearts is up, although I'm sorry it wasn't earlier, I released in on deviantART a few weeks ago! This is a pathetic excuse, but the deadline for Lenora Lacey has been pushed forward so I've been running around like a headless android trying to finish it! Also, you may have noticed that the Guild's study has been updated to reveal info on the blog's stories ONLY! So I hope you got those spoilers while you could! Anyway, the main news! The first ever publication of Dead Night has been confirmed! You will be able to buy copies some time this year from Blurb, and I am also taking orders for signed copies (which obviously, cost a bit more in delivery, depending on where you live because I have to order the book to me first, and then send it to you). Of course, Lenora Lacey will theoretically be published first, but as an e-book, and I shall keep you posted on that. 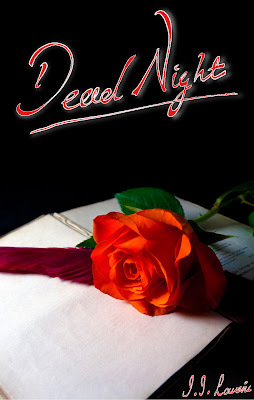 In fact, while you are waiting for Dead Night, my Nightlings, Lenora Lacey is worth the read, you may even get a special surprise part way through! Anyway, I leave you on the biggest release, THE COVER! 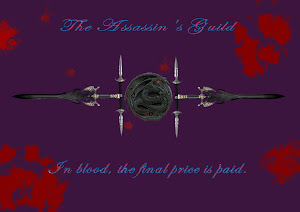 Created by my most woderful boyfriend, Adam who is a excellent photographer, and has cruelly deleted his blog, so I can only give you hid dA xD To be fair, there is more of his work on there anyway: http://takeshi-toga.deviantart.com Also, if you like Dead Night, you should read The Black Heart, his own novel which is a more contemporary vampire story set in Japan. It's amazing, so if you do, please tell him so because he doesn't beleive it! Anyway, this is what it will look like!